The former Clayton Homes building in the LaRue County Industrial Park was recently purchased by Konsai USA for $2,900,000. According to the deed, the building and 27 acres was sold to Konsei by Terry Hinton, Katherine Hinton, Gary Hinton and Pamela Hinton of Elizabethtown. Rumors are still circulating about a possible buyer of the former Shopko building located on West Main Street in Hodgenville. 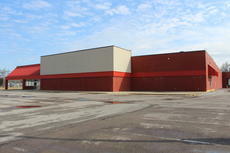 LaRue County Community and Economic Director Bob Sims said that a retail client had a purchase contract on the former Shopko property dating back to August 2015. However, he said the sale did not close and that the property is still available. The name of the retail company with the purchase contract was not released by Sims. 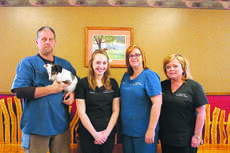 A Hodgenville veterinary clinic is striving to provide compassionate care to animals while also providing hometown hospitality to the animals and their owners. Plantation Veterinary Clinic is a full service veterinary medical facility that is located on 7558 New Jackson Highway in Hodgenville. Their hours are Mondays through Tuesdays and Thursdays through Fridays from 8:30 a.m. to 5:30 p.m. and Saturdays from 8:30 a.m. to 12:30 p.m. The business offers veterinary services to large and small animals including horses, cows, goats, sheep, dogs, cats and more. 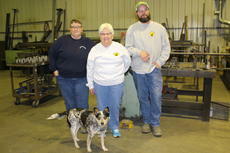 One LaRue County business has been machining parts and making repairs for local factories, individuals and farmers for over 15 years. Together with her two dachshunds, Ryder and Baj, she greets each client like they’re part of her own family. 2015 was an exciting year for the Chamber of Commerce. The Board of Directors approved 24 new Chamber Members and the office welcomed countless visitors from near and far representing 38 states and 13 countries. Customers are treated like family at one LaRue County hair salon. 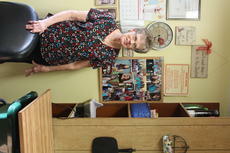 Glenda’s Corner Curl is located on 1397 Old Elizabethtown Road in Hodgenville. The business offers a wide variety of cuts and hairstyles including perms, bobs and many more. Owner Glenda Burba said she has been a hairdresser for 55 years and that her customers have become like her family throughout her career. Powell’s Septic Service has been in business since 1948. Silas and Laura Powell relocated to Kentucky from Georgia and eventually settled in Hodgenville. “Daddy was pulling a trailer through the area when mama spotted a little one-bedroom house and knew where she was going to live. So they traded their trailer for that one bedroom house and 8 acres; it was right there where the BP gas station is.” Claude Powell said. 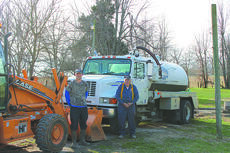 Powell’s Septic Service was started in 1948 by Silas Powell, Claude Powell’s father. A LaRue County heating and air conditioning company is striving to provide absolute comfort to business owners and homeowners. 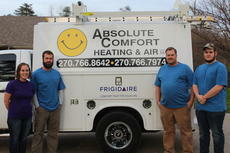 Absolute Comfort Heating and Air is located on 2704 Leafdale Road in Hodgenville. The business does a wide variety of heating and air work including services, replacements and installations of new systems. Absolute Comfort Heating and Air also provides free estimates on any new construction buildings or homes. A well-known LaRue County business got its start from helping others in the community. 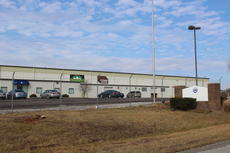 Skunkworks is a manufacturing and repair shop that is located on 78 Old Sonora Road in Hodgenville. The business manufactures or repairs items for local factories including steel racks for brake components, casting tubs, surface treatment trays, conveyor tables and much more.